The Toledo Clinic is a financially successful privately owned practice of 200 physicians with 35 specialties. The new Nocturnist will round at St. Lukes Hospital in Maumee, Ohio. St. Lukes has 314-Beds and boasts an outstanding payor mix. This 7p-7a position runs 7 days on, 7 days off. Income potential is very promising. On the learning front, Suburban Toledo features the best public school system in the state with two others making the top ten. Private and Parochial schools achieve success with diversity awards and 99% college acceptance rates. Northwest Ohio values higher education with three dozen colleges and universities in a sixty-mile radius. St. Lukes is positioned between two Mid-American Conference Universities. Start class also rated the University of Toledo Medical School as one of the top 100 Public Medical Schools in the country based on quality coupled with tuition costs. US News and World Report rates the University of Michigan as the 9th best medical school in the country and it's 45 minutes away. Not to mention, diverse cultural attractions including: Toledo Museum of Art's nationally-renowned collection and Imagination Station Museum of Science and Industry stimulate intellectual interests. Zipline over the 2014 Best Zoo in the Nation. Outdoor lovers enjoyed Great Lakes Fishing, 12,000 Acres of Metroparks and Bike Trails for family enjoyment. Low Cost of Living --Pay Off Students Loans without compromising standard of living. 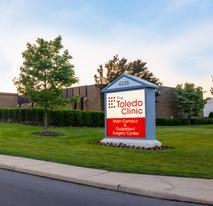 Established in 1926, The Toledo Clinic is a rapidly expanding multispecialty private practice. It is an independent physician owned and managed practice of 192 physicians and over 1300 employees. Northwest Ohio and southeast Michigan encompass the Toledo Clinic’s service area. It has an active patient base of approximately 300,000 patients. Unique to northwest Ohio, physicians comprise our Board of Directors with assistance from a highly talented administrative staff. Independence is encouraged - Needs are supported.